Low-lying coral reef islands are typically less than three metres above sea level, making them highly vulnerable to rising sea levels associated with climate change. 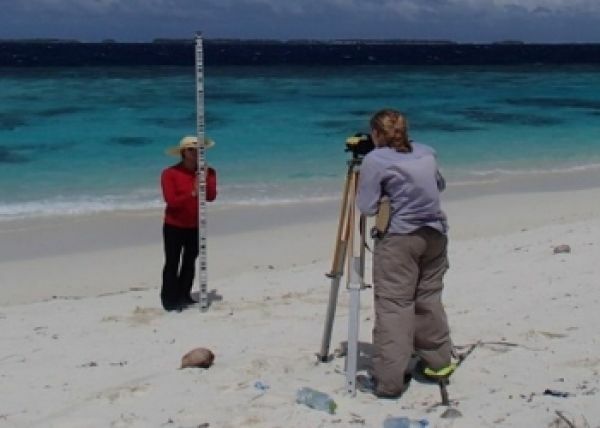 However, research has found new evidence that the Maldives – the world’s lowest country – formed when sea levels were higher than they are today. The evidence was discovered by researchers who studied the formation of five islands in the southern Maldives. Using a coring technique, they were able to reconstruct how and when the islands formed. They found that large waves caused by distant storms off the coast of South Africa led to the formation of the islands approximately three to four thousand years ago. These large waves – known as high-energy wave events – broke coral rubble off the reef and transported it onto reef platforms creating the foundations for the reef islands.